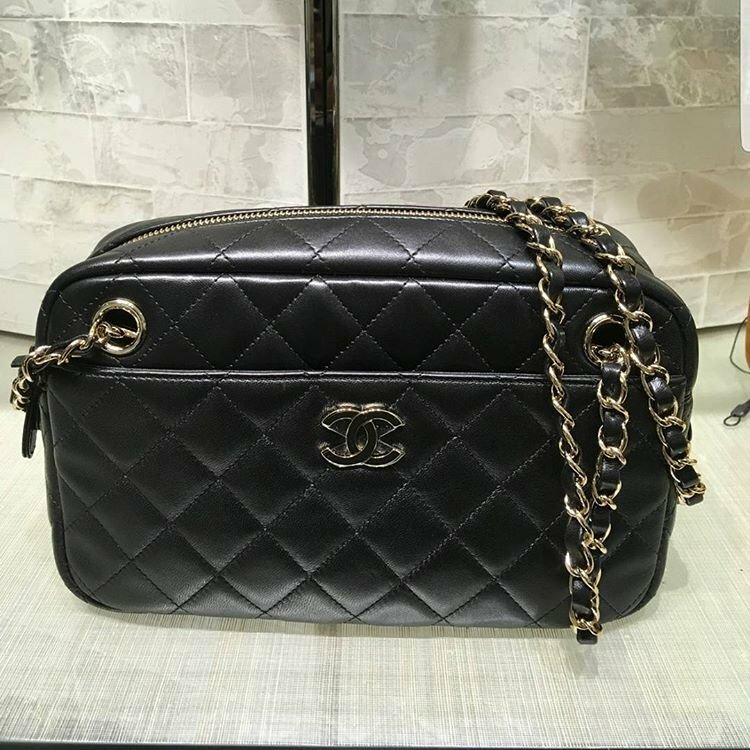 So you thought that the Chanel Coco Vintage Bag was the only pretty one in the Cruise 2018 Collection. Well, there is one more bag that will make your heart skip a beat. It’s the Chanel Quilted Camera Case. This Camera Case is designed with a timeless look just like the iconic Classic Flap Bags. The body is completely diamond quilted to look both chic and stylish. 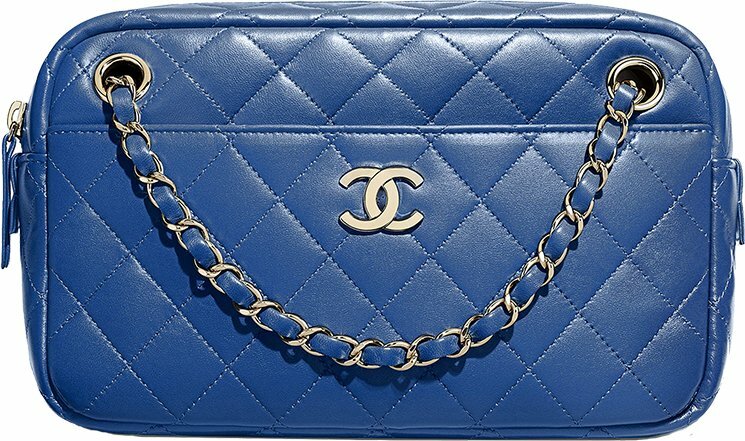 And with the smooth CC logo crafted in the center front, anyone will recognize that it’s made by no other than Chanel. This bag is also crafted with a front patch pocket and that makes the bag special in two ways. First the front pocket is very useful to carry essentials that you need to grab instantly. 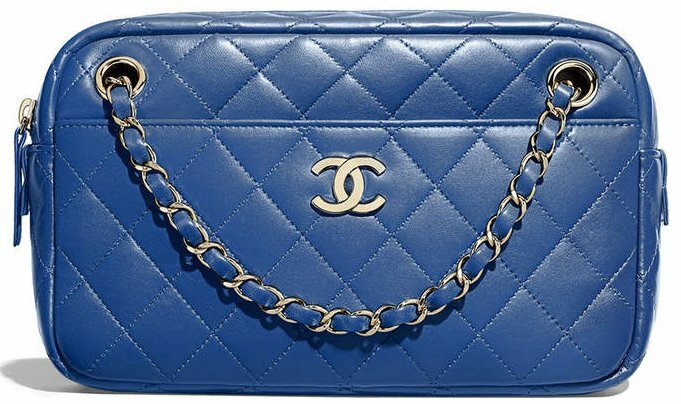 Secondly, any fashion obsessed or expert will recognize instantly that this is an authentic Chanel Bag. You see, the quilting of the patch pocket is symmetrical and lined up. It’s perfectly in line with the quilting of the whole body. This design is similar like the back pocket of the Classic Flap Bag of which the quilting is also in line. The Camera Bag comes with a woven chain leather strap for shoulder and cross body carry. It’s made in beautiful boxy rectangle shape. This bag is not completely new because there is also a Reissue 2.55 Bag version. However, this bag is a classic version of the Camera Case. To get into the interior, you will need to zip the bag open from the top. The inside is made with a big compartment for all your personal essentials but also patch pockets. Style code A91731, measuring 6.1’ x 9.1’ x 2.8’ inches, priced at $3000 USD, €2950 euro, £2730 GBP, $4960 SGD, $25700 HKD, ¥380160 JPY, 15580 MYR via Chanel boutiques. New Year’s Eve is just around the corner, and if you are still looking for the perfect party dress, Reformation has the answer. The Los Angeles-based fashion brand recently launched its NYE Collection featuring ultra pretty dresses for those end-of-the-year events. 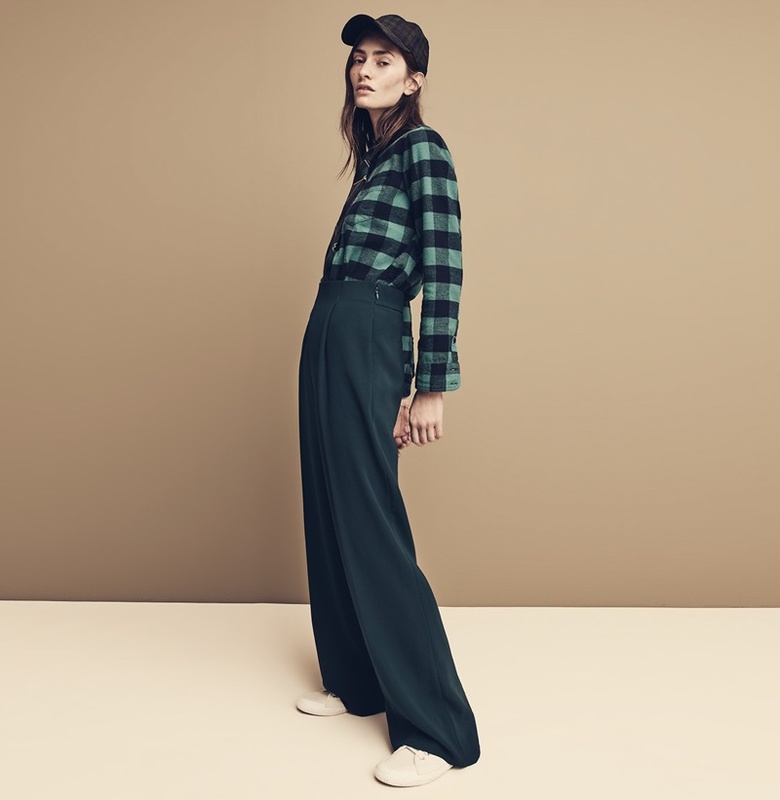 Reformation offers an eclectic mix of colors and silhouettes. From sequined minidresses to breezy maxis and asymmetrical hemlines; look forward to dancing the night away. Discover some of our favorites from the New Year’s Eve collection below, and shop more dresses at TheReformation.com. Turn up the shine factor in a metallic knit dress featuring an asymmetrical hemline. Made with a deep v neckline, this ankle-length dress will make you the center of attention at any event. Dance the night away in an emerald-green minidress with ruching at the front. This maxi dress features a plunging neckline with long, bishop sleeves. Look red-hot in a long dress with an asymmetrical hemline and a low back. The little black dress gets updated with a deep v neckline and open back. Cold weather season is here, and when it comes to dressing casual, it can be quite the challenge. J. Crew offers up some ideas with the release of its latest trend guide. 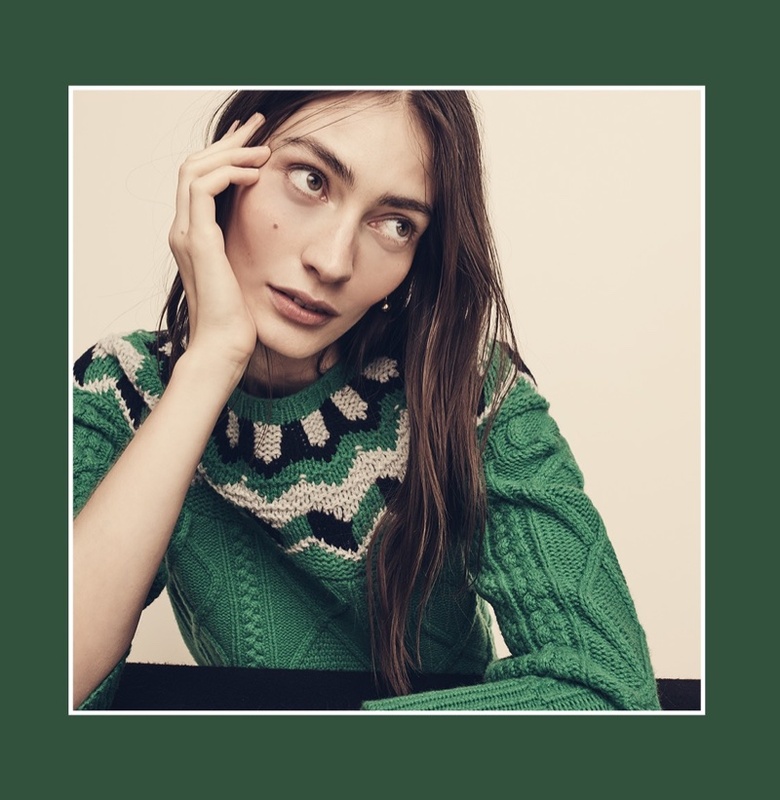 Model Marine Deleeuw poses in easy-going styles including plaid prints, denim and knit sweaters. Paired with glittery heels and 14k gold earrings; these pieces will upgrade your winter wardrobe effortlessly. 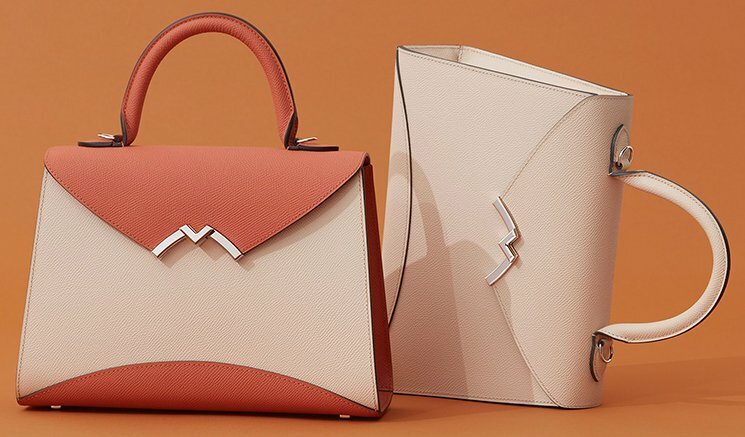 Moynat is a high fashion brand under the radar. 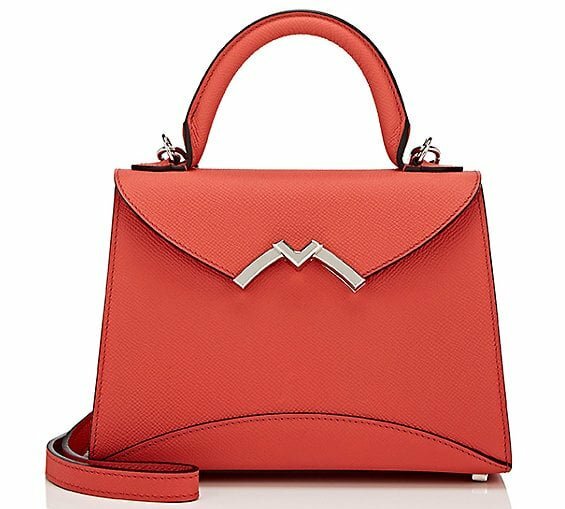 The design of their handbags, the quality and the customer service are comparable to the standards of popular brands like Dior and Chanel. 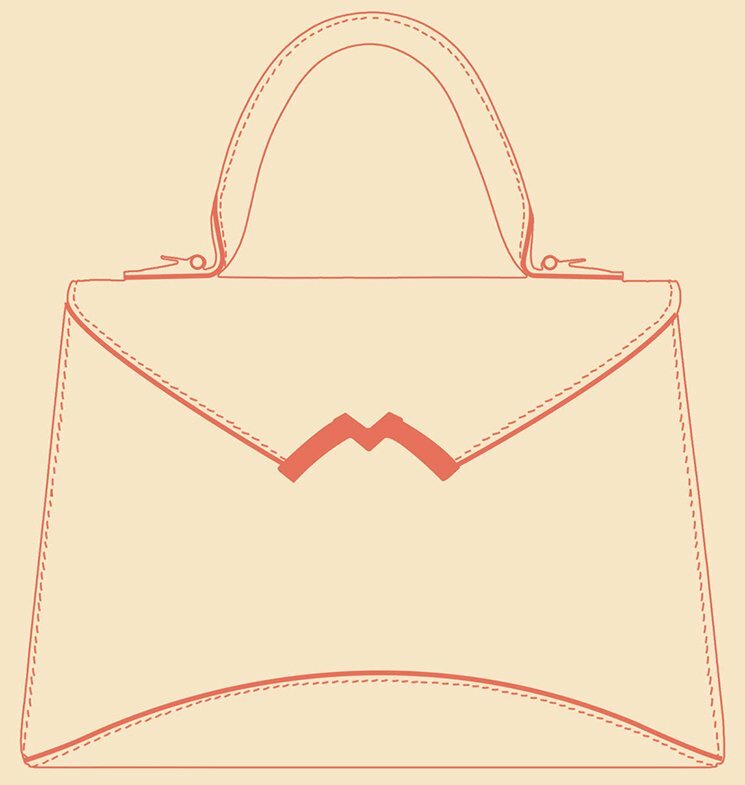 Their most iconic handbag is the Rejane Bag, which we’ve already covered. 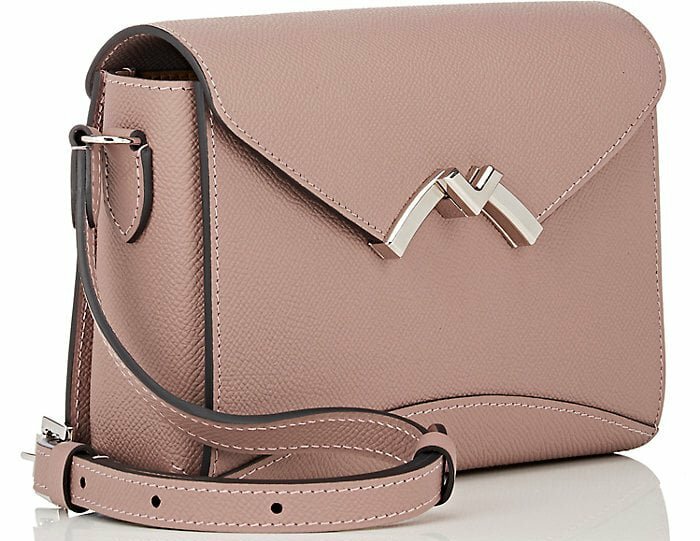 But we’d also like to introduce the Gabrielle Bag, which was released in 2016. The name Gabrielle is inspired by the founder’s first muse, Gabrielle-Charlotte Reju. 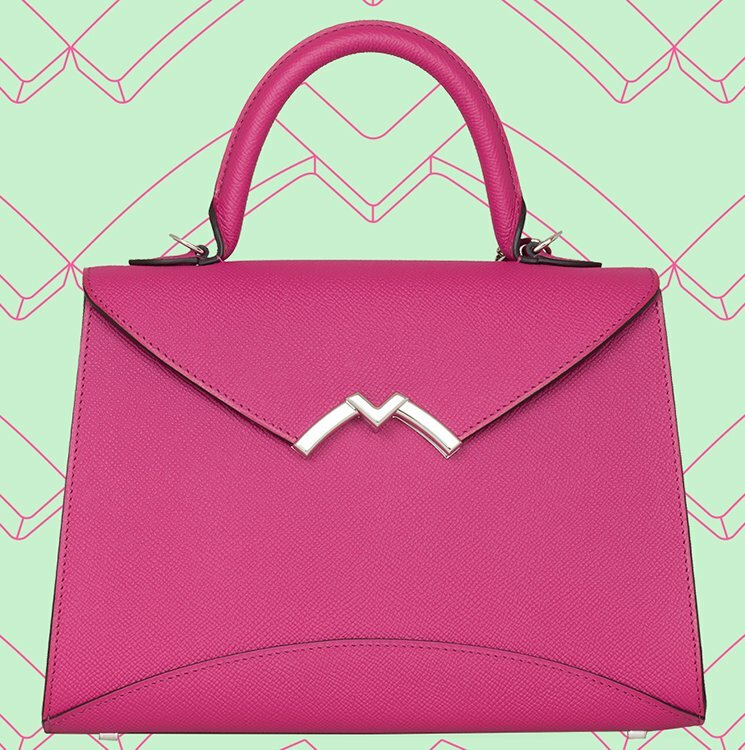 With this bag, Moynat wants to release a handbag that looks classic but with modern twist. 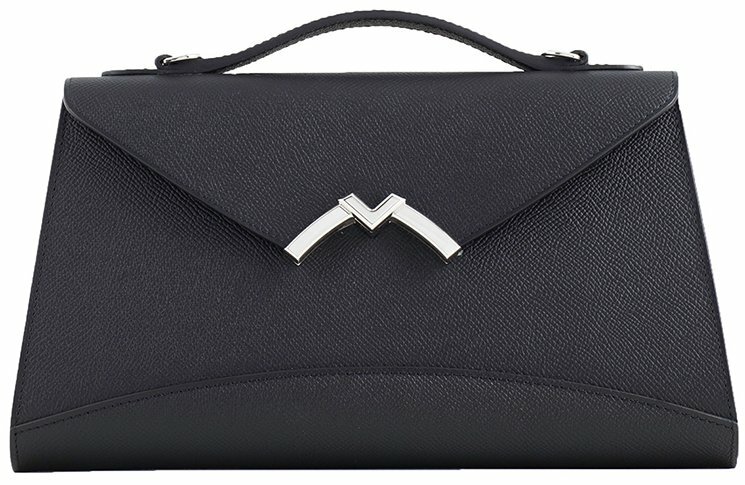 The body and the unique shape echoes to Moynat’s iconic Limousine Trunk. 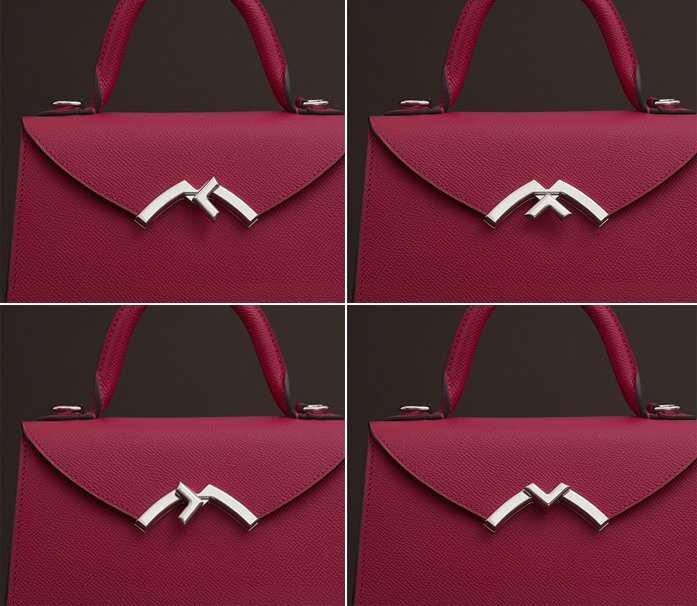 The Gabrielle Bag is crafted with specific focus on the distinctive stitching, the structure and the bold curves. The bag is handcrafted, which makes you feel like it’s built just for you. 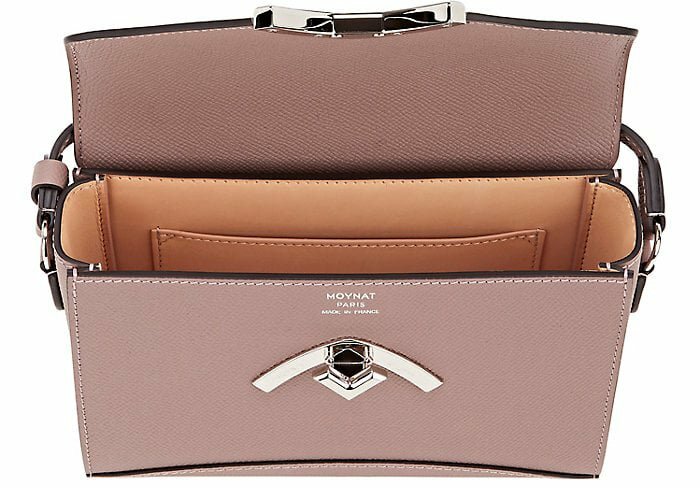 This luxury handbag is single-handedly built by Moynat’s artisan, which is needed because of the complex construction to fit each piece of its all-leather construction. 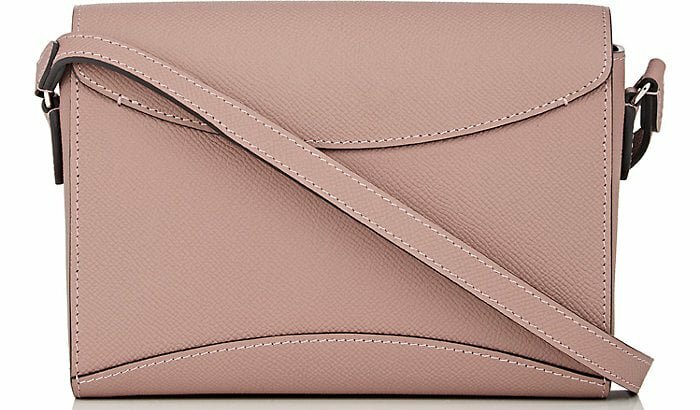 The Gabrielle Bag is available in solid colors. 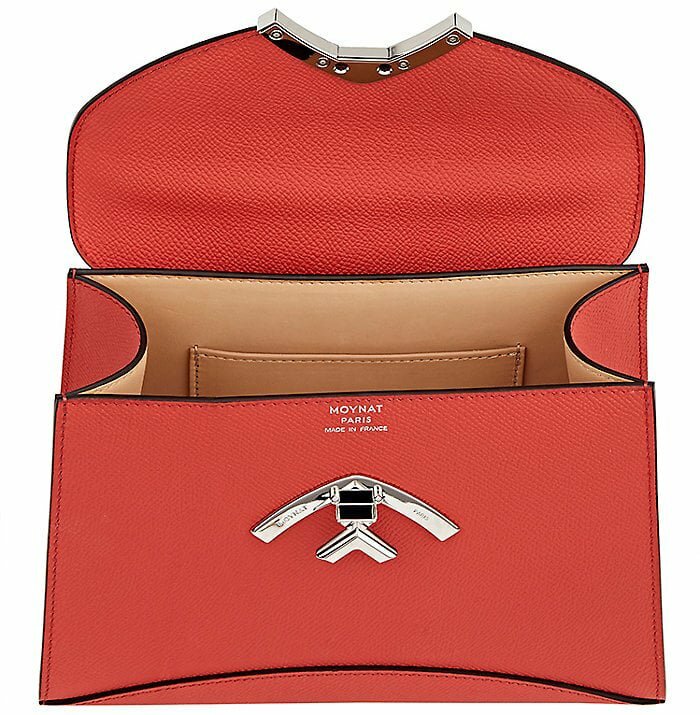 The top comes with a curved solid handles and it’s made with a V-shaped flap. 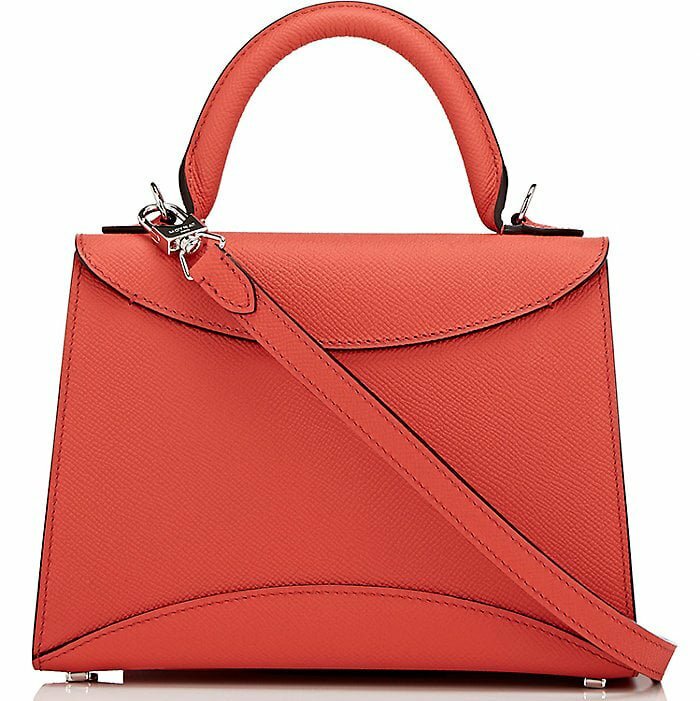 But what’s instantly recognizable is the Gabrielle’s jewel-like twist lock closure, that’s designed with the ‘M’ shape hardware. The M obviously represents the name of the house. The M lock is sophisticated and elegant. You can twist it with a click to open the bag. What’s more? 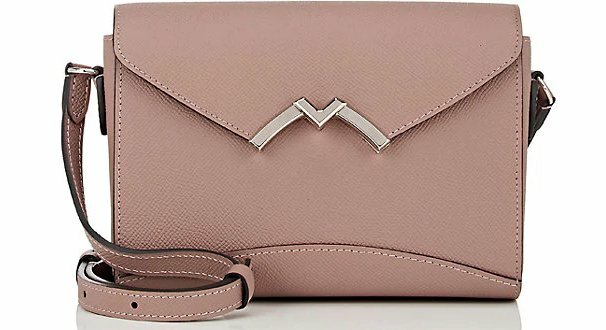 It comes with a leather strap to carry cross body or on your shoulder. 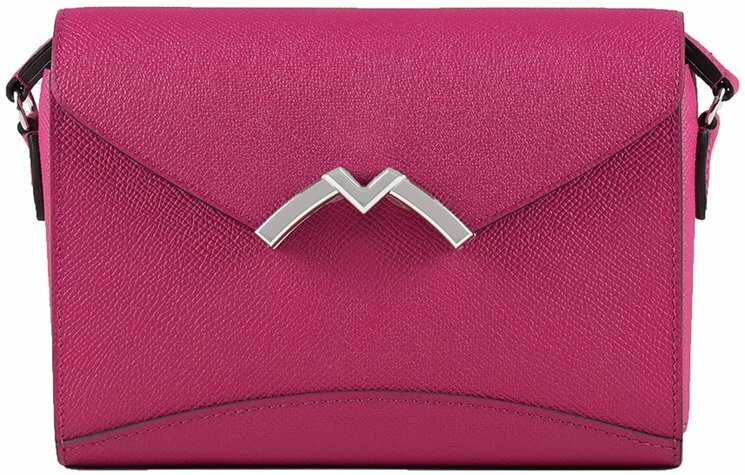 Most of the designs are made from Carat Calfskin (or Box Calf Leather) with Perle Calfskin Lining. The permanent colors are black, peach and powder. However you can also choose exotic leathers like Crocodillians and Lizard Leathers. When the open the bag, you will find the main compartment to store your essentials. But there is also a slip pocket for organizing your more important belongings. 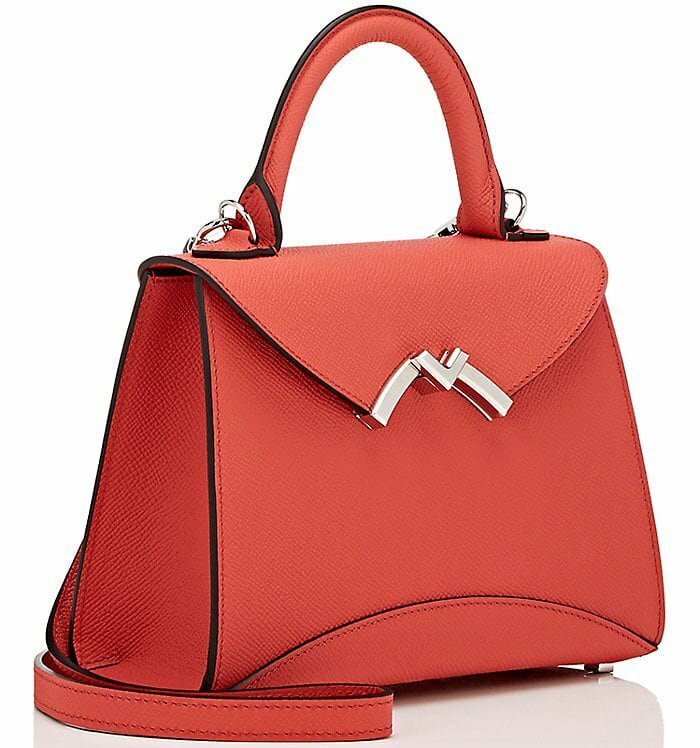 Basically this bag is already very secured with the M Twist Lock. Shine in this silk dress featuring sheer, long sleeves and a metallic diamond pattern. Holiday shopping season is really revving up, and if you want to shop luxury finds, look no further than Neiman Marcus. The fashion retailer’s Cyber Monday deals start early. With this sale, the more you spend, the more you can save. Use a special promo code to get a gift card that goes up to $750. Enter the code GC4YOU on specially marked items. Spend $200 for a $50 gift card, spend $500 for a $125 gift card, spend $1,000 for $250, spend $2,000 for $500 and spend $3,000 for a $750 gift card. Choose from brands like Saint Laurent, Jimmy Choo and Burberry for major savings. But don’t wait too long, because the promo ends on November 27th at 10:00 PM CT. 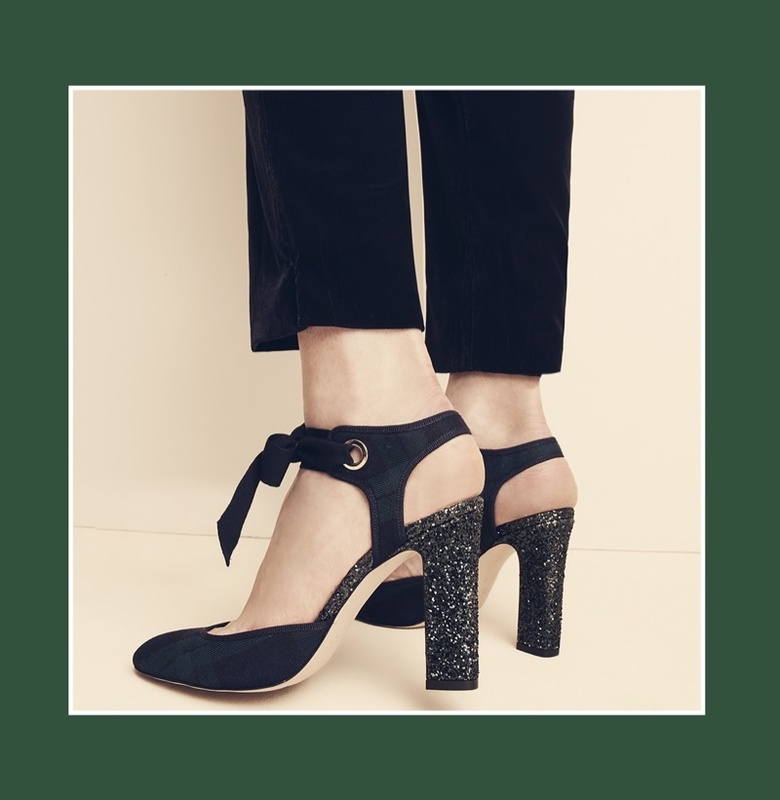 Discover some of our picks below, and shop the sale at NeimanMarcus.com. 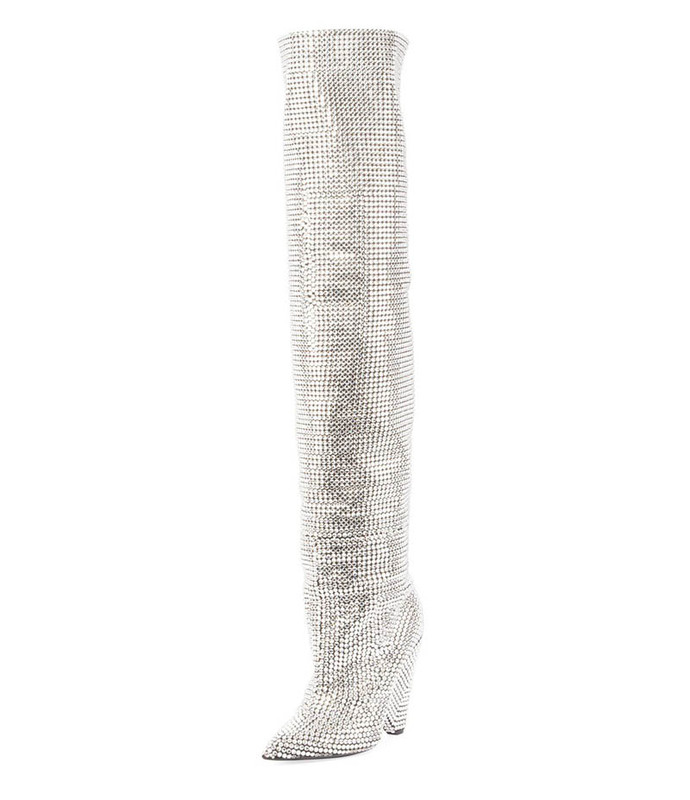 The season’s must-have boot from Saint Laurent has been seen on celebrities like Rihanna. 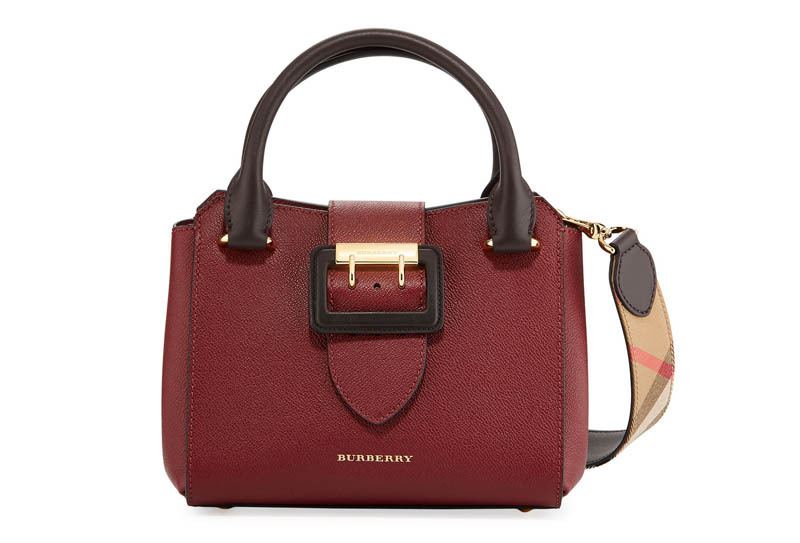 This tote bag features Burberry’s signature check on its strap with a faux buckle front. 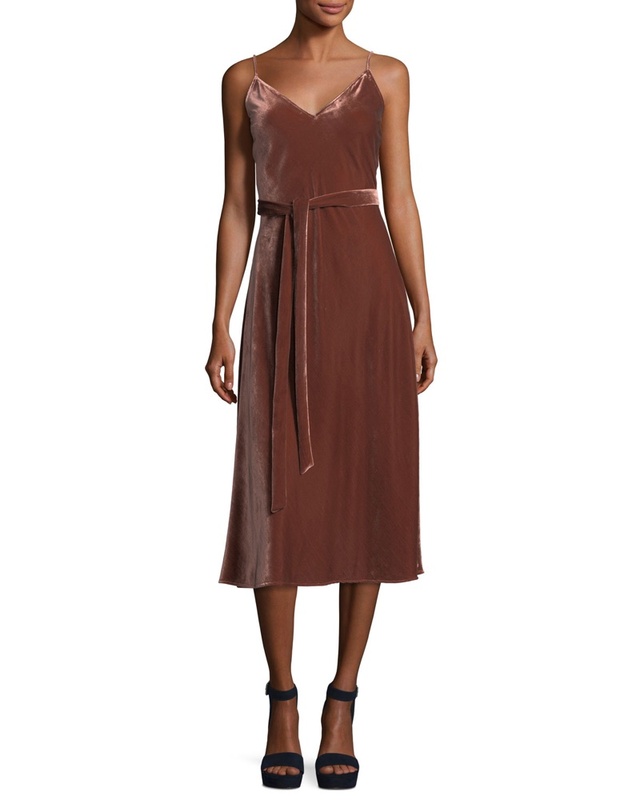 The slip dress gets an update with a v-neckline and self-tie waist belt. This 4″ heel features a pointed toe with a classic d’Orsay silhouette. Celebrating thirty years of modeling, Claudia Schiffer lands the November 23rd, 2017 cover of The Edit from Net-a-Porter. Photographed by Nico Bustos, the supermodel wears a polka dot print dress from Jacquemus with Gianvito Rossi pumps. For the accompanying shoot, Claudia poses in black and white fashions styled by Raquel Franco. The blonde wears designs from the likes of Balenciaga, Balmain and Dolce & Gabbana.